These are the words of Damon "The Best From The East" Bradshaw as we drove down the mountain following an incredible trail ride at Bogus Basin, about an hour away from the FLY Racing headquarters in Boise. Earlier that day I had no idea that I would spend the afternoon riding alongside Bradshaw and to be completely honest it’s a moment in life I will always cherish. Damon is one of nicest people I have met along my journey through the industry and somebody I have admired and looked up to since I was a kid back in the early 80s, when I had aspirations of one day becoming a top tier factory racer. That of course never happened, but days like this make me feel like I did something right along the way. We were attending the second annual FLY Racing Summer Camp. FLY hosts this event in effort to bring motocross media to the great state of Idaho so that they can better understand the DNA of the brand. 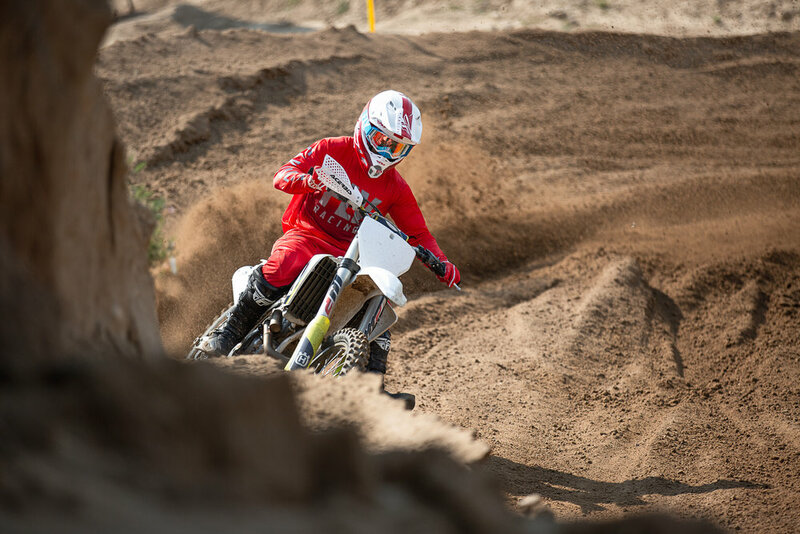 Unlike the majority of the other gear brands in motocross FLY was born far outside the confines of Southern California's rat race. Since 1998 they have taken a lot of pride in the fact that they have managed to it their way. Rightfully so as they have claimed their spot amongst the industry leaders and are moving into the future with enormous momentum and solid a foundation that spans two decades. Operating from a unique location is something that META shares with FLY. When we launched our publication nearly five years ago and decided to do it from our home in Colorado, and for all the right reasons. Sure there are challenges that come with not being located in California, but there is a certain pride and drive that comes from birthing something in your home state, and like FLY we wouldn’t have it any other way. Throughout the week at Summer Camp we had the pleasure of spending time with Craig Shoemaker, the Founder and CEO of both FLY Racing and Western Powersports. He shared brand insight, history, and laughs, but what I really appreciated was the fact that he clearly made time to interact with everybody in attendance. His passion for this brand and the sport as a whole is clearly second to none. We were introduced to the 2019 Raceway line by way of Jason Thomas and FLY athletes Blake Baggett, Zach Osborne, and Weston Pieck. We where then presented with the opportunity to put the gear to test on track at Owyhee Motocycle Club and later through single track offerings at Bogus Basin and once again Summer Camp left us grinning from ear to ear. We would like to thank FLY Racing for the incredible experience and to note that it is really cool that you bring all the media into an event that allows us to build friendships and memories together outside of a race environment. We will continue to look forward to Summer Camp! Be sure to check the 2019 gear line and enjoy a look inside this year's summer camp with a video from our friends at Evergood.